Make a wedding bouquet for your DIY wedding in minutes with our step by step instructions below. These simple bouquets are perfect for bridesmaids or use a few more flowers and use the same tutorial for the bride. 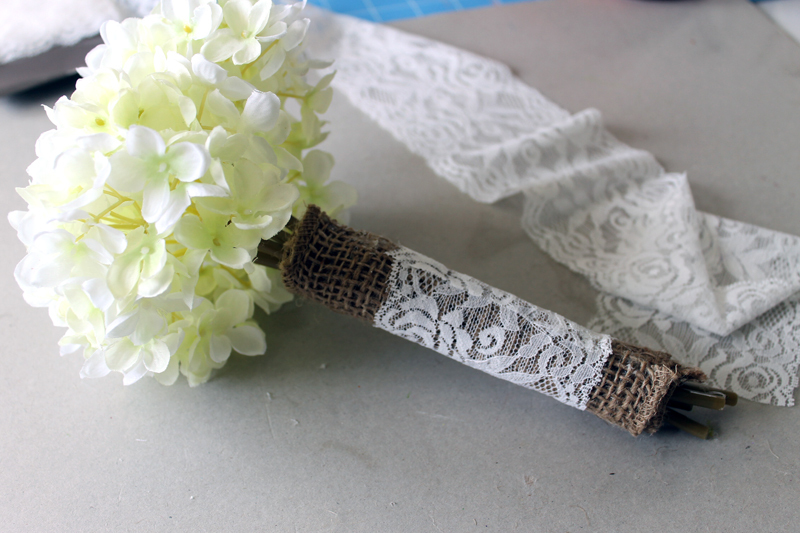 You can also click here to see my tutorial on the bouquet I made for the bride (my daughter!). This one was originally posted over at Crafts Unleashed but I am posting here in case you missed it. Links below may be affiliate links which means a portion of your purchase will go to support this site but you will not pay any more. Start by arranging your hydrangeas until you love the look of the top. Use hot glue to adhere the stems together in several places. 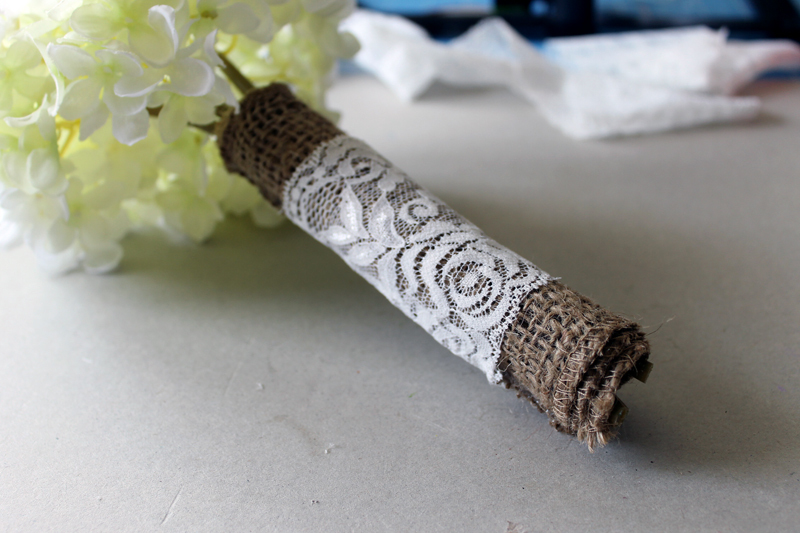 This helps hold everything together while you are completing your bouquet. 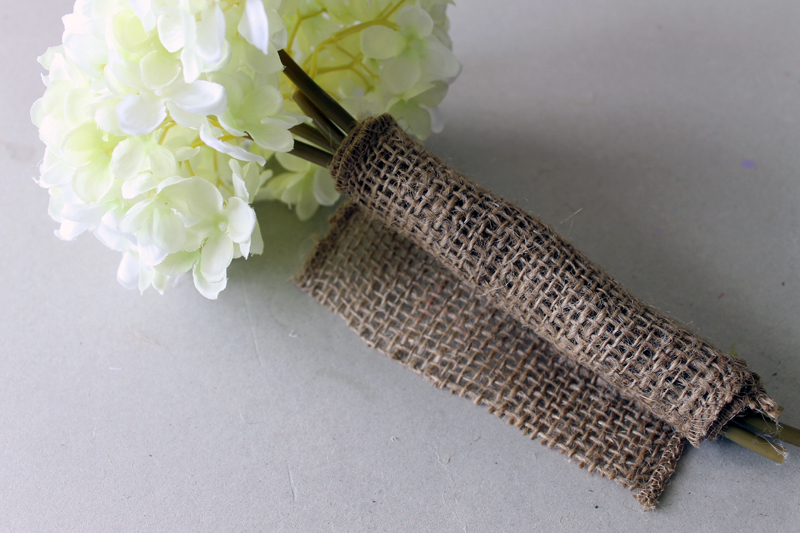 Wrap the stems with the burlap ribbon and secure with hot glue. Use caution when securing as the hot glue will come through the burlap. Repeat with the lace ribbon on top of the burlap. Again make sure to use caution as the hot glue will seep through the lace. 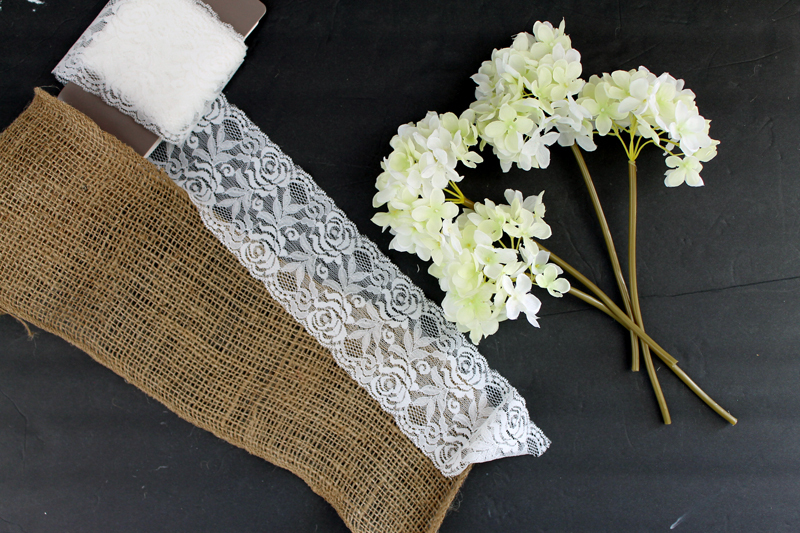 I lined up the seam on the lace ribbon with the seam I had on the burlap for a more finished look. Trim any stem ends at this time that may be hanging out of your burlap wrap. Not a fan of the burlap wrap? 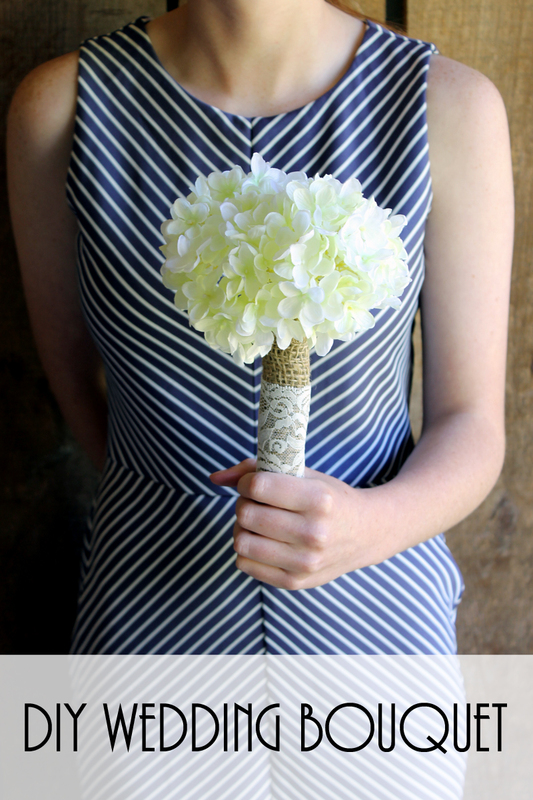 Check out this article for 20 ways to wrap a wedding bouquet. I told you it was easy to make a wedding bouquet! This one is complete and ready for your wedding party. Just repeat for as many bridesmaids as you will have in your wedding. 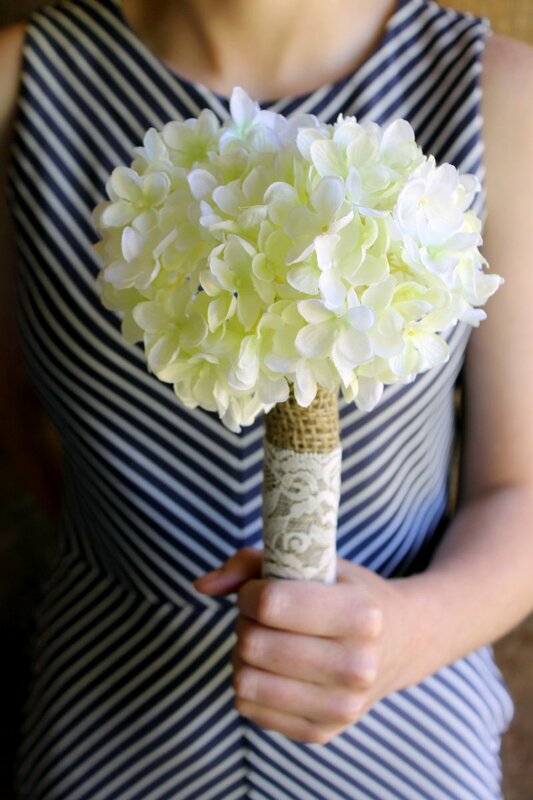 For the bride, you can add more floral stems for a larger bouquet if desired. 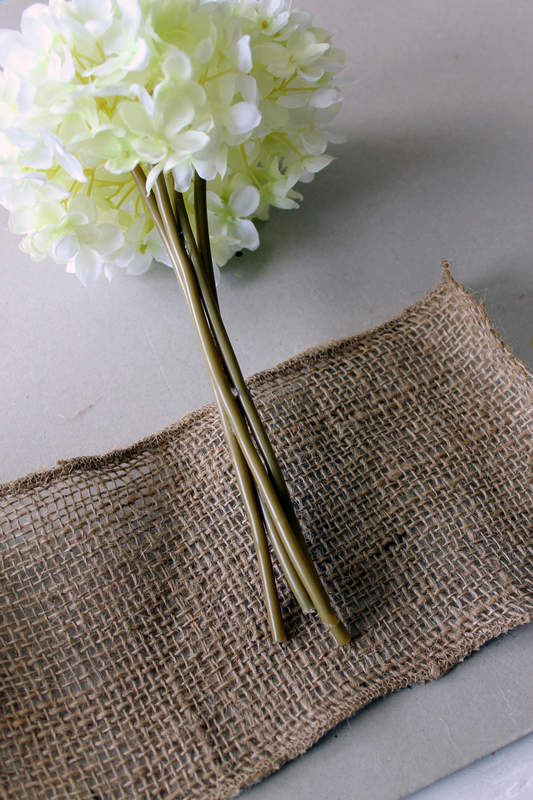 I love the simple look of this wedding bouquet and the rustic feel of that burlap wrap. Y’all add this project to your DIY wedding list today. 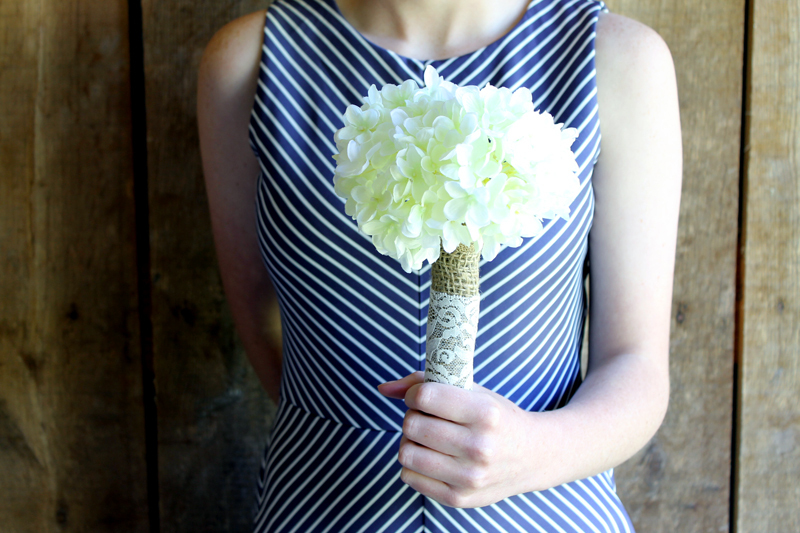 Make a wedding bouquet and save yourself some of the expense of flowers!